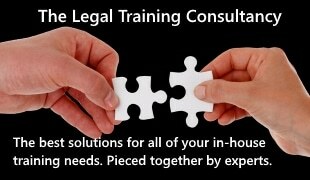 As the winds of change continue to blow across the personal injury legal market generating uncertainty and challenge, choosing the right legal expense insurer (LEI) can provide some welcome stability and security for law firms, insurers and their customers. But, how do you select the right provider? Yes, price is always going to be a consideration, but I’d argue it definitely shouldn’t be the driving factor. As the old adage goes, if it looks to be good to be true, it probably is! Like any other type of insurance, LEI (both ATE and BTE) is purchasing a promise that your insurer will pick up the bill if you need to claim. Sounds simple, but all too often insurance arrangements are brought with the inkling that they’ll never need to be used, and therefore understandably, focus shifts to price. What happens then if you do have to claim? Who can you rely upon to deliver on their promise? It’s an important question that’s difficult to answer, especially if you’ve not dealt with many LEI providers. Ask any provider outright and we’ll all probably say we’re great, leaving you to dig a little deeper for the reassurance that you’re making the right choice for your customers and business. In reality, it’s what an insurer says on the inside (internally within their claims department and wider teams) rather than on the outside (to prospective customers and partners) that’s key. This is the question we asked ourselves last year. 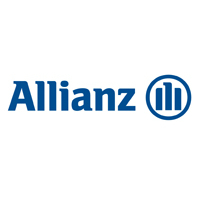 For Allianz Legal Protection, we really wanted (and continue to!) challenge ourselves on what our purpose is, with a specific focus on our Claims team. As claims manager, it would’ve been really easy for me to take a top down approach to answer, aligning the things I think are important to our top priorities. However, that wouldn’t have achieved the desired outcome: creating something that everyone in the department associates with, is proud of and strives to live up to. 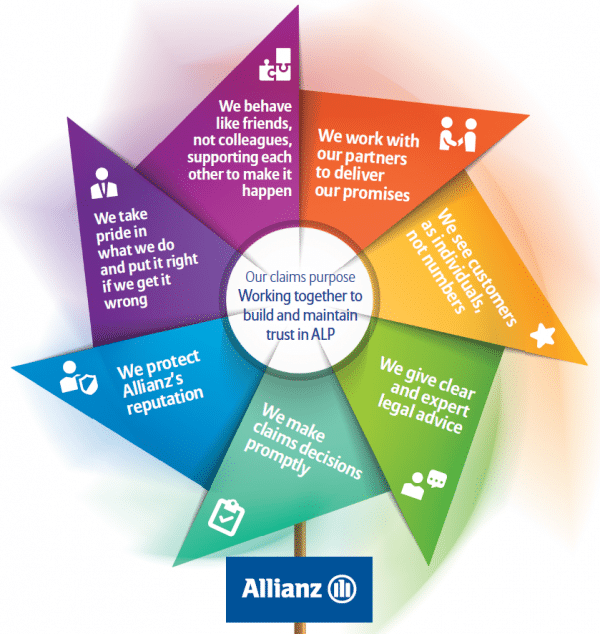 Our purpose had to resonate with our organisation’s values – excellent, caring, responsible and connected – whilst demonstrating our ethos of collaborative working; aiming to do things with our customers, not to them. By taking a bottom up approach, everyone in the team had the opportunity to contribute and share what they felt was important about what we do. Although this took a little longer, it resulted in our claims purpose which we all own and are happy to be judged against. They’re the words, but the proof is in what we do and the way we do it. Often the little things make the difference, like having named contacts and direct dials so you can speak to the right person when you need to without spending time going through IVRs or explaining the position numerous times. So next time you’re looking to change legal expense providers, make sure to consider where the real value in the product lies and ask yourself whether you’re working with a partner you can trust to be there and to deliver when called upon.